If you know me, you know who ranks at the bottom of my list of fave Doctor Who actors. 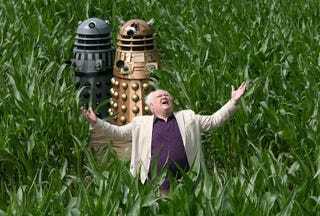 Not that Colin Baker is a bad actor... he just wasn't a good fit (IN MY OPINION! STOP YELLING AT ME!!!) for the part of the Doctor.